Erik Lindström was born in Helsinki on 29th May 1922. Lindstrom started playing violin and later played also bass, piano, vibraphone and accordion. Learning to play by-ear and not following his father's request to study to read sheet music made him an outstanding musician and one of Finland's most popular studio musicians of the 1950's. Gold Record Award. 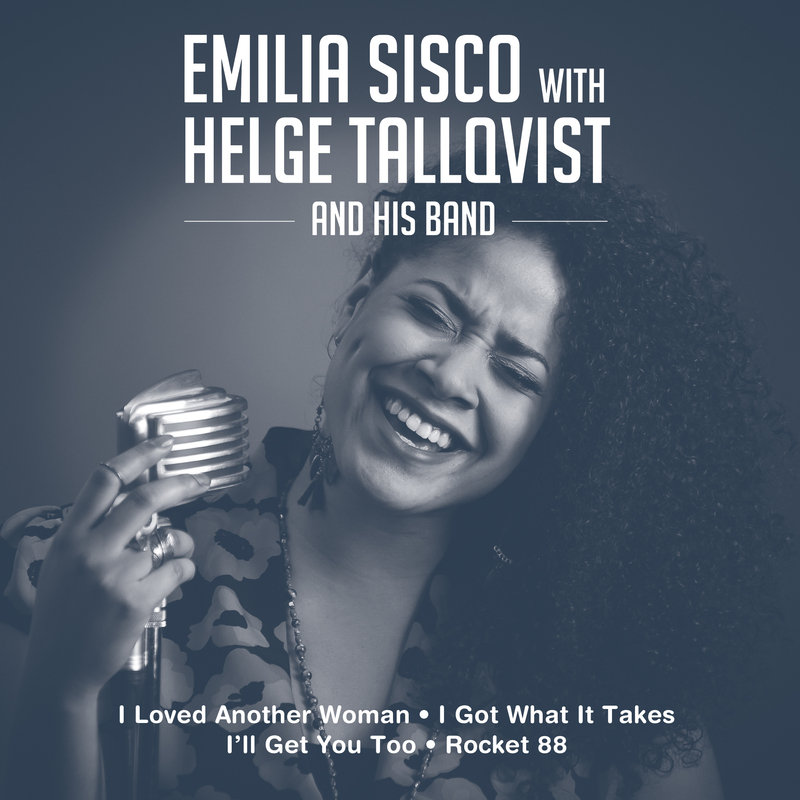 His other notable songs from the 1950's included Pikku Midinetti (number one for fourteen weeks on Yleisradio) as well as Ranskalaiset Korot and Etkö Uskalla Mua Rakastaa, all performed by Helena Siltala . 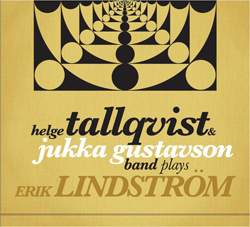 As a composer, Lindström differs from the Finnish popular mainstream by always managing to flavour his songs with some jazz, which makes his songs personal and very original and gives them an international feeling. I would like to thank all the great musicians of the band and specially Jukka Gustavson, who had the huge task of arranging all the songs and translating some into English. I would also like to thank Nylands Svenska Kulturfond (Swedish Cultural Foundation in Finland) and Eugène, Elisabeth and Birgit Nygrens Stiftelse for supporting this project. And of course, huge thanks to Erik Lindström himself, who composed all of these outstanding songs that have become classics in Finnish popular music. Osta T-paita. Saatavana Normal fit ja Lady fit. 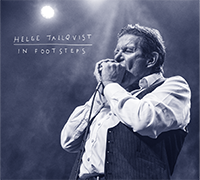 Helge Tallqvist solo album! Click on image to listen to "Hot Rod Special"
Buy Ep at iTunes or click Here! Check out the music video on Youtube! 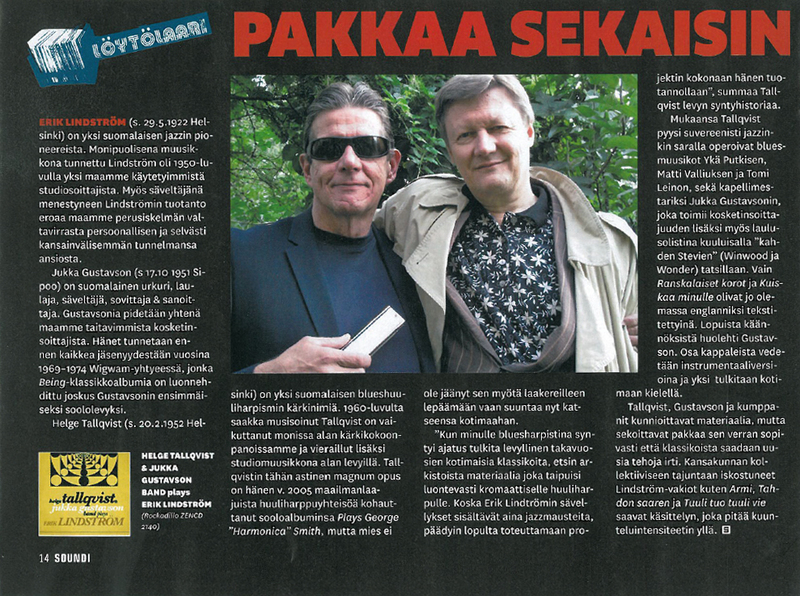 Helge Tallqvist is playing Joe Spiers' custom Hohner harmonicas.